Hey everyone! 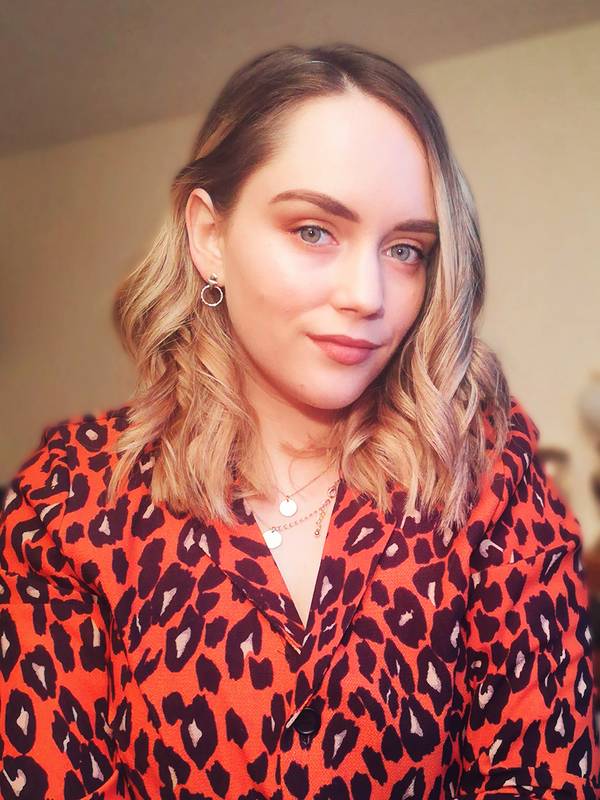 I am so excited to introduced you to my new blog series 'A blogger and her pet(s)' which will be featuring on my blog over the next six weeks. Each week I will be talking to a different blogger all about their furry friends. If you love animals as much as I do I hope you will enjoy this series! 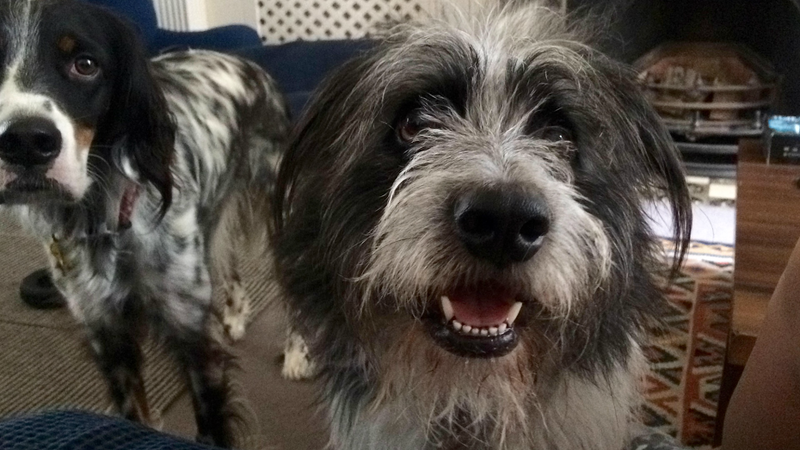 Without further ado, lets meet my first guest of the series Charlotte from 'Charlotte's Road' and her gorgeous English setter Ricky (2) and his big brother, a collie cross, Olly (4). 1. You adopted both Olly and Ricky from animal shelters/charities...Was it important to you to get your pets this way? Would you recommend others go about it the same way? The dog we had before them was a pedigree, but after he died, we found that the best way to get over his death was to get another dog. As there are thousands of dogs around the country that have been abandoned or their owners can’t look after them anymore, it was important to my family that we gave a dog a second chance. We adopted Olly first, when he was 9 weeks from the UK charity Many Tears and two years later we adopted Ricky from the same charity, who was 8 months at the time. I’d really recommend others to adopt a pet as they can help an animal in need. 2. Do Olly and Ricky get on well with each other? 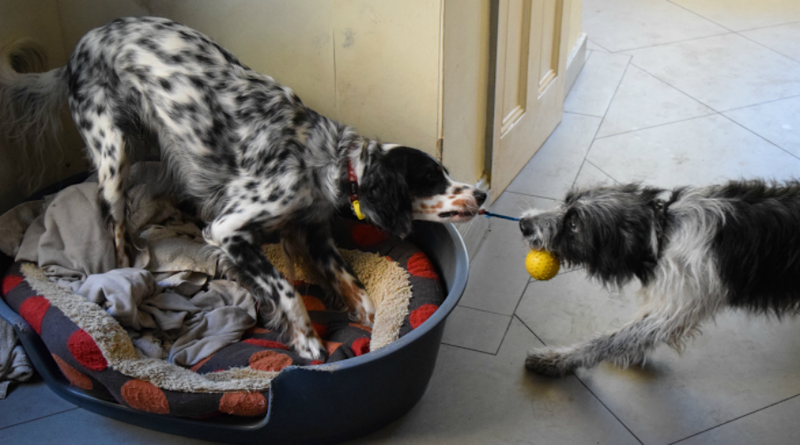 When we went to meet Ricky for the first time, they got on well together but it took Olly a lot of getting used to, in terms of sharing his toys and home with another dog. Ricky is a little like the annoying younger brother, and always wants the toy that Olly is playing with and they will play the occasional tug of war. They do get on well, though sometimes Ricky will nudge Olly out of the way if he thinks it’s his turn for a cuddle. 3. What are their personality differences? They are both very sweet-natured dogs but they are quite different in their personalities. Olly is obsessed with having his tennis ball thrown for him and will get demanding sometimes if you don’t throw it for him. He is also really caring, and if you ever cry or get hurt, he’ll come over to comfort you. Ricky loves a good cuddle and will lean his head on your shoulder every time. He is the sassiest looking dog as he sits with his front legs crossed and positions his head at funny angles. Ricky also loves meeting new dogs and chasing them around our local park, Olly likes meeting new dogs too but prefers his ball. 4. You said Ricky was a terror when you first got him, how did you learn how to train him and what tips would you give to other pet owners in a similar situation? When we first got him he was naughty but as he hates being shouted at, he soon got the hang of what was right and wrong in the house. However, when we took him for walks he had serious recall problems and it took him a long while to respond to his name. Setters are known to take a bit longer than other breeds of dogs to train, so to train him to come back we bought a long lead and a tonne of treats to reward him when he responded. 5. What is something small that your pets do that makes you smile every day? Coming downstairs for breakfast is always lovely as they get excited to see me in the morning. Individually, Olly’s puzzled facial expressions and him playing with his ball on a string (he swings it round in circles and hits himself with it) make me smile. Ricky will growl at the stripey rug when he wants to play and after stroking him, if he wants more he’ll paw at you like a cat. 6. Would you say Olly and Ricky prefer the indoors or the outdoors more? They tend to prefer the outdoors more, Olly likes to bark at our neighbour that smokes in his back garden and Ricky enjoys sunbathing and watching world go by (and birds). But Olly is terrified of storms and seeks shelter in the toilet or under a desk if he hears them, and Ricky has his favourite armchair in the living room and enjoys watching TV, especially when animals are on. 7. Tell us a bit about your blog and share your links! My blog is called Charlotte’s Road, on which I write about my unhealthy obsession with beauty, fashion and burgers. 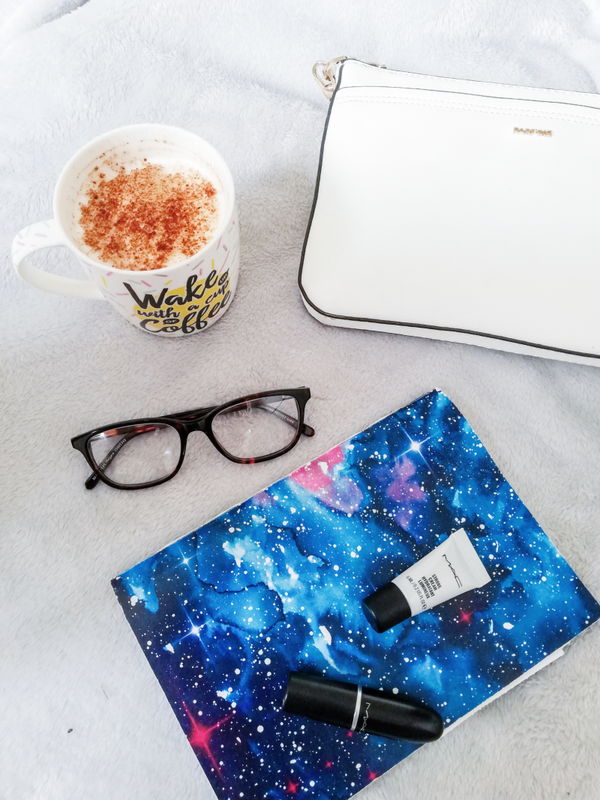 You can keep up to date with my latest posts on Bloglovin’. I also rant about said obsessions on Twitter and Instagram if you want to come say hi or follow me over on one of them!